Eckert, Allan W. The Wading Birds of North America. Garden City, NY: Doubleday & Company, 1981. Erlich, Paul R., David S. Dobkin, and Darryl Wheye. The Birder's Handbook. New York: Simon & Schuster, 1988. Hancock, J.A., J.A. Kushlan, and M.P. Kahl. Storks, Ibises and Spoonbills of the World. London: Academic Press, 1992. Hancock, James, and Hugh Elliott. The Herons of the World. New York: Harper & Row, 1978. Houston, David. Condors and Vultures. Stillwater, MN: Voyageur Press, 2002. Berger, Joseph. "In City Bustle, Herons, Egrets and Ibises Find a Sanctuary." The New York Times (Dec. 4, 2003): B1. Williams, Ted. "Lessons from Lake Apopka: Fish-Eating Birds Dying from Pesticide Poisoning in Florida." Audubon (July 1999): 64. American Ornithologists' Union. http://www.aou.org (accessed on March 30, 2004). Bird Life International. http://www.birdlife.net (accessed on March 30, 2004). Birdnet. "Avian Orders: Ciconiiformes." Smithsonian National Museum of Natural History. http://www.nmnh.si.edu/BIRDNET/splists/ Ciconiiformescl.html#Ciconiidae (accessed March 31, 2004). Cornell Lab of Ornithology. http://www.birds.cornell.edu (accessed on March 30, 2004). Georgia Museum of Natural History. http://naturalhistory.uga.edu (accessed on March 30, 2004). Georgia Wildlife Web Site. "Order; Ciconiiformes." The Georgia Museum of Natural History. 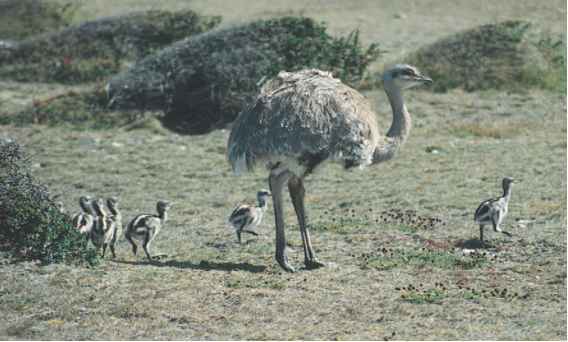 http://museum.nhm.uga.edu/gawildlife/birds/ ciconiiformes/ciconiiformes.html (accessed March 30, 2004). Ornithology Laboratory. "Order Ciconiiformes, Herons and Allies." University of Illinois. http://cm27personal.fal.buffalo.edu/birds/bow/ bow_1/ciconiiformes.html (accessed March 20, 2004). Wetlands International. http://www.wetlands.org (accessed March 30, 2004).